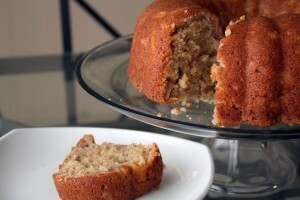 This is an oldie but goodie that my mom likes to say gets better each time I make it (thanks mom!). This banana cake (not “bread”, says Anne Takemoto, the brilliant baker behind this recipe), is moist but with a great crispy edge. In my opinion, the secret ingredient is the crushed pineapple. I hesitate a bit to share this recipe, since in my mind it will forever belong to dear Anne, our resident fellow from college. However, I often get requests, and those of us who lived in Okada probably reminisce about the warm-fuzzy-cozy dorm meetings that residents would show up to if for no other reason than to eat this cake at the end. This is edible love, and I hope I have Anne’s blessing to spread the love! Add wet ingredients to dry, stirring gently. 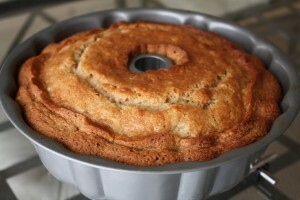 Pour into greased Bundt pan (I strongly suggest using non-stick spray with flour). Bake for 60-70 minutes or until done. Don’t try to underbake to ensure moistness. 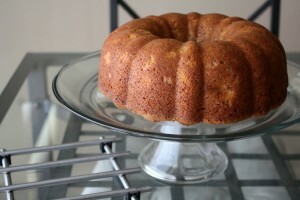 If the cake is underbaked, it will likely tear when removing from the Bundt pan. Plus, you will want that surface to be crispy! 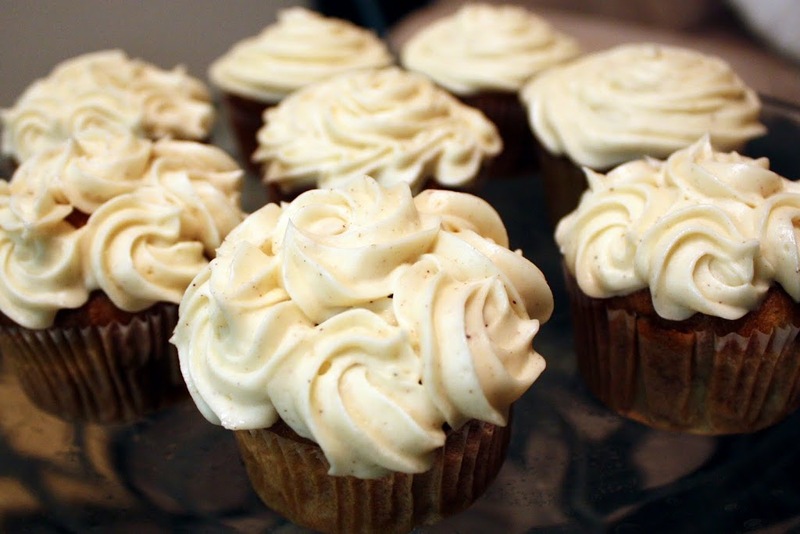 I have tried to make this in a cupcake version with a honey cinnamon frosting, which is also delicious. However, the cupcake form loses the crispy edge (even without frosting), which is such a great part of this cake.